When the Holy month of Ramadan is mentioned, thoughts of day-long fasts followed by the much anticipated breaking of fasts come to mind. But while fasting is undoubtedly integral to Ramadan there is a lot more to the Holy month that goes largely unremarked, even though diligently practised. One such element is duʿā (supplication). Ramadan is perhaps the one month in which the faithful engage in the most amount of duʿā. Each salah (namāz) – the five daily prayers offered during set times of the day – is accompanied by a specific duʿā authored particularly for that time during this month. One would be remiss not to note that the volume of duʿā during the month of Ramadan and the time spent in its pursuit is one of the most substantial components of ritual prayer during this month. Community members go to great lengths to ensure that their loved ones remember them in their duʿā. 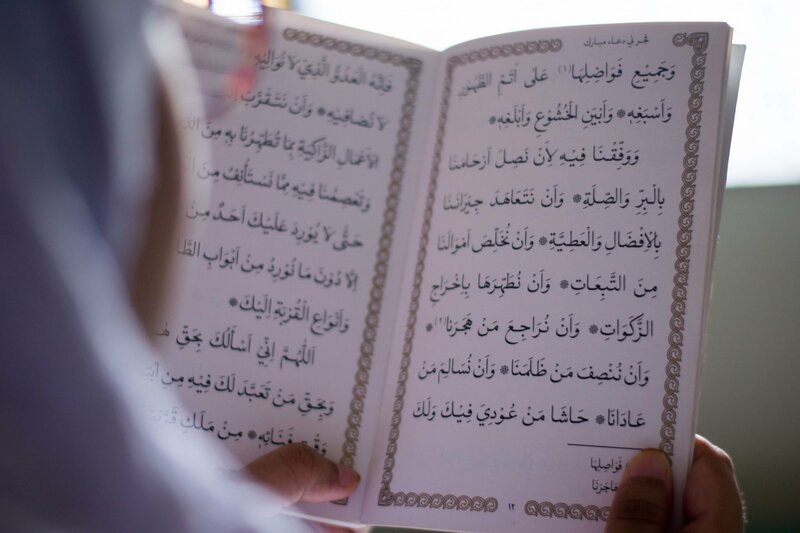 From verbal and written messages requesting duʿā on their behalf, to iltimās al-duʿā (asking for supplication) gifts shared between friends and family, the presence and importance of duʿā is felt throughout the month. But what exactly is duʿā and how does it function? A common misconception about duʿā is that it is confined to earnestly saying the words and then waiting for them to miraculously take effect on their own without any further input. You ask for wealth and it appears at your doorstep without you having to lift a finger. You ask for health and all your existing conditions disappear without you having to make any adjustments to your lifestyle. You ask for social harmony and brotherhood, and it happens just like that. In the Epistle on Animals in Ikhwān al-Safāʾ, Imam Ahmad al-Mastur AS gives us an insight into the true nature of duʿā. In what is for the large part an allegorical tale of a court case on the injustices suffered by animals at the hands of mankind, the animals speak critically of human faults thereby making humans aware of the error of their ways. One of the birds in the tale speaks about duʿā likening the act of supplicating to the process of pollination and the realisation of that duʿā to the fruition that comes as a result of pollination. This gives the phenomenon of duʿā a fresh perspective, where duʿā is not a passive invocation but an active will and determination coupled with toil and labour. Duʿā is an inspirational force that spurs the faithful to act in accordance with their beliefs and strive to the best of their abilities in pursuit of their goals, while never forgetting that eventual success is in the hands of the Almighty. The term waffiqnā (inspire us/give us strength) best illustrates the point and fortifies the argument. It puts the onus of striving and toiling on us while eventual success or failure is a matter of divine prerogative. The inspiration comes from a higher power but if we do not accept it and act in accordance with it, we cannot hope for social harmony to come about of its own accord. Inspired by this and other duʿās recited during the month of Ramadan, and understanding the true philosophy of duʿā, the Dawoodi Bohra community actively participate in a host of social initiatives during the Holy month. From food drives and food rescue partnerships aimed at feeding the less fortunate, to fostership and upliftment campaigns striving to provide community members with a better future, to cleanliness drives that positively impact the health of the environment, the essence of duʿā is alive within the community. Society is a collective of individuals, and social harmony cannot come about until each individual does his or her part. In order to act for the good and welfare of others one must first condition oneself internally, which brings us to the other aspect of duʿā, the inspiration itself. The term waffiqnā employed by Imam AS is of profound significance. Tawfīq is a most sought after internal driving force in all forms of duʿā. The presence of tawfīq is akin to the first numeral from which an infinite number can come into being and it is reserved only for the pure of heart and the sincere. The attainment of this tawfīq from Allah is a duʿā which prevails during the Holy month of Ramadan, and proof of its existence is manifest in all the social and individual good that comes about during this most auspicious month of duʿā. Next article#IAmBohra – Durriya Badani of Washington, D.C.